The annual Waynesboro Kiwanis Pancake Breakfast will be held Saturday,April 12, at the First Baptist Church on South Wayne Avenue, in Waynesboro. The breakfast will be held in the Community Room, and will run from 7:00 am – 12:00 noon, and includes a bake sale. Tickets are $5.00 and can be purchased from Kathy Berrang, Debbie Todd, and Joan Byrne, who all act as advisors for the Fishburne Military School and Waynesboro High School, Key Clubs, which are the high school level of Kiwanis International, and serve local children with programs like, “Trick or Treat Street, Kite Day, Boys and Girls Clubs of America, the Food Bank, Salvation Army, etc. 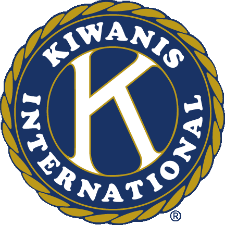 The proceeds from the breakfast help to support Kiwanis International efforts in the valley, and help cadets and students at the school with their programs. Kiwanis International in Waynesboro partners with and supports the Salvation Army throughout the year and will be donating a guaranteed donation from the profits along with a portion of the door profits to the Salvation Army in support of their efforts throughout the area.